Dr. Hellenga believes that her pets are her greatest angels and teachers. Dr. Hellenga is an up-front doctor whose sincere advice generates a trusting relationship with her clients. She will think creatively to solve medical problems when it comes to a critical time in your pet's life. She is also a very compassionate person. This compassion helps lift the burden from you while she administers superior care for your pet. Having pets her whole life in combination with handling her current dog's severe allergies and back problems have taught Dr. Hellenga to be understanding of client stress in all types of challenging situations. Dr. Caitrine Hellenga is a 1998 graduate of the University of Tennessee College of Veterinary Medicine. She came to Winter Park Veterinary Hospital after graduation and practiced here for 9 years. In 2007 she moved to St. Louis be closer to her family. While in St. Louis she practiced at a 24/7 emergency and critical care hospital that provides a full range of intensive care services as well as routine health care. Dr. Hellenga has returned to WPVH as the Medical Director. She has a special interest in dermatology, dentistry, emergency and critical care, preventive care, avian and small mammal medicine, German shepherds, acupuncture and Chinese medicine, soft tissue surgery, compassionate euthanasia, and staff training. 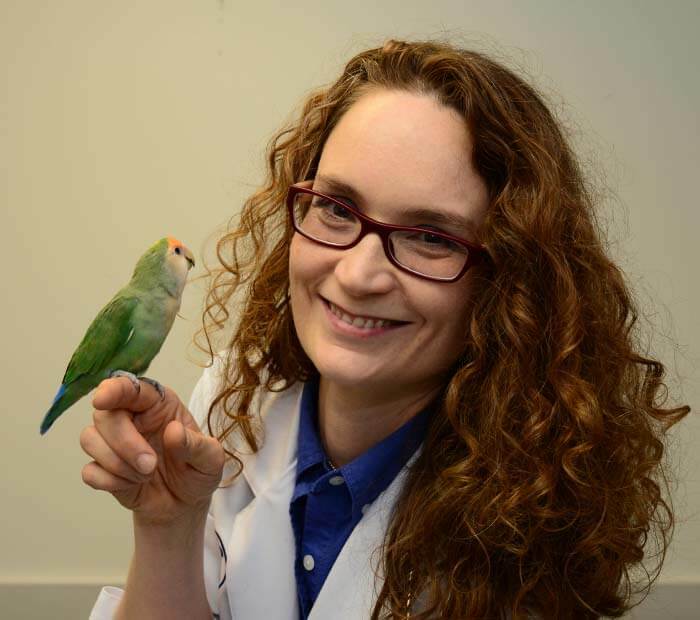 She was valedictorian of her veterinary school class at the University of Tennessee, a school known for its avian and exotic medicine training. She was honored with membership in Phi Beta Kappa and the veterinary honor society Gamma Sigma Delta. Dr. Hellenga is a Certified Veterinary Acupuncturist and is pursuing certification in Chinese herbal medicine. Dr. Hellenga shares her home with her husband Tim and enjoys walking their dog Harper, cooking, and reading murder mysteries. Caitrine is Irish for Catherine and is pronounced: KAY-trinn (rhymes with Caitlin). Hellenga is Dutch and can be pronounced: HEL-eng-guh or hel-LENG-guh as your tongue will allow.